Carlos Hyde is an American footballer who plays as a running back for the Cleveland Browns of the National Football League (NFL). His days with NFL started in 2014 where he originally played for the San Francisco 49ners after he was drafted in 2014. Ever since he joined the game, he has had an outstanding record as a running back what with his growth in college. To many, Carlos is referred to as one of the best running back in the history of NFL and is noted for his strength and an outstanding body frame. His archive has been built with tremendous awards including his time as a four-star recruit, First-team All-Big Ten (2013), Second-team All-Big Ten (2012) to mention a few. This article contains everything you should know about him. Cincinnati, Ohio was where Carlos Hyde was born and bred. He was born on September 20, 1990, into a black American home. As a child, he was noted for his interest in sports especially in the game of football. When it was time for his education, Hyde was enrolled to a co-educational public high school named Princeton High School located in Sharonville. His times at Princeton High was short as he transferred to Naples High School where he completed his high school education. His relevance in sports while in high school prompted a lot of offers from different colleges including the University of Florida, the University of Miami, Florida State University and Ohio State University. After deliberate considerations, he settled for Ohio State University. Carlos Hyde is a naturally endowed sportsperson and was a three-sportsman in high school as he played the game of football, basketball and also participated in track events. His dedication for sports started at High school and as a senior, he recorded 1653 yards in addition to 16 touchdowns which earned him The Player of the Year by Naples Daily News and Ft Myers News-Press. As a student-athlete at Ohio State University, he played as the team’s back up running back and recorded outstanding numbers despite the ankle injury he sustained. In his first game, he recorded 970 yards in addition to 16 rushing touchdowns and was also named the All- Big-Ten of the year 2010. Consequently, in his senior year, he kept at a good pace but was suspended from three games as a result of an fighting incident which happened in a local bar. Upon his return, he completed the season with 1,282 yards in addition to 14 touchdowns. He finished his collegiate career recording 523 rushing attempts, 3198 rushing yards accompanied by 37 rushing touchdowns. On the receiving end, he received 34 total receptions, 271 receiving yards, and 4 touchdowns. His professional career began in 2014 after he was drafted by the San Francisco 49ers in the second round as the 57th overall of the 2014 NFL Draft and was also the third running back to be selected that year. Carlos started out perfectly with a game against the Dallas Cowboys and rushed 50 yards on 7 carries in addition to a single touchdown. As the season continued, he played against New Orleans Saints and Seattle Hawks and finished the season recording 83 carries for 333 yards in addition to 4 touchdowns. By 2015, Carlos played as a front-runner and was also named the starter for the season. In this same year, Carlos recorded the best game of his career as he recorded 168 yards on 26 carries and two touchdowns in a game against the Minnesota Vikings. Afterward, he played against the New York Giants and rushed 93 yards on 21 carries in addition to a single touch down. Carlos became unfit for most of the season as a result of a fractured foot. Cumulatively, he ended the season with 3 touchdowns, 115 carries for 70 yards. 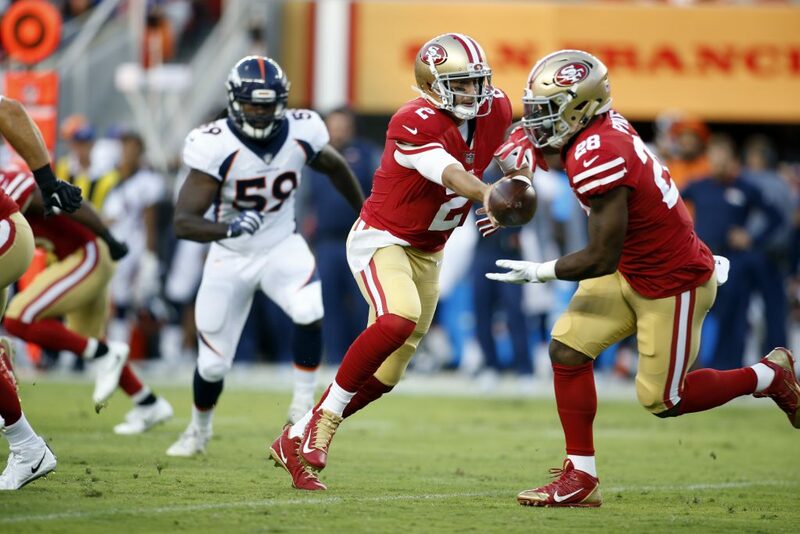 Carlos Hyde played 13 games in 2016 and in total, recorded 217 carries for 988 yards, six touchdowns with 27 receptions for 163 yards in addition to three touchdowns and also earned the alternate for the Pro Bowl that year. The year didn’t end in a good way as a result of an MCL injury he sustained. He was further placed on the injury reserve list and was unable to play for the rest of the season. Through 2017, Carlos played 16 games in which he recorded a career-high 8 rushing touchdowns, 940 rushing yards in addition to 350 receiving yards by the end of the season. With his progress, he signed a three-year contract worth $15,250,000 including a $1,500,000 signing bonus with the Cleveland Browns in March 2018. He started with the team in a game against New York Jets and ran 97 yards in addition to 2 touchdowns. Carlos Hyde was born as an only son to his mom, Dermidra Hyde and his dad, Carlos Britton. He was raised with two other siblings – Kelsey and Brittany – all girls. The runner back had done a good job in hiding details of his personal life from the searching eyes of the media until September 2018 when he welcomed a son, he couldn’t hold his joy to himself and so he made a public announcement on Twitter stating baby’s weight – 8 lbs. 11 oz. The birth of the baby was a win-win situation as Carlos just celebrated his 28th birthday and also recorded a win against the New York Jets. The birth of the baby sprung up questions on who the mother was as the running back has never been linked to anyone in the past. After much digging, it was revealed that Carlos had been in a relationship with a lady named Mirtha Pichardo. No one knows how long they have been together, however, Mirtha is an inactive member of the organization; Wives, and Girlfriends of Professional Athletes (WAGS). On and on, Carlos’ body measurements has varied as he had taken measures in attaining a perfect body build. At the point when he started his professional career, he weighed 104 kg and stood at 5 feet 11 inches with arm length 32 inches and hand size 6.25 inches. However, records have it that upon his return in 2017, he was in a perfect shape and weighed 103.4 kg. Currently, he weighs 107 kg and stands at 6 feet.